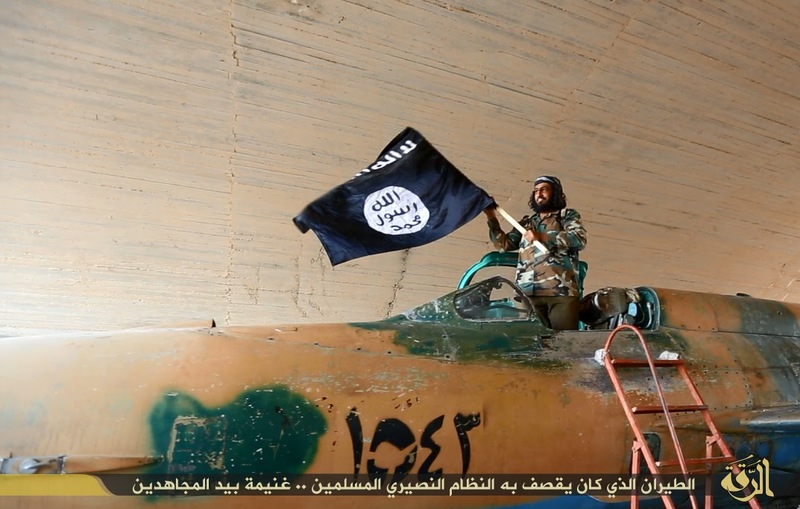 Finally the Tabqa AFB is overrun. 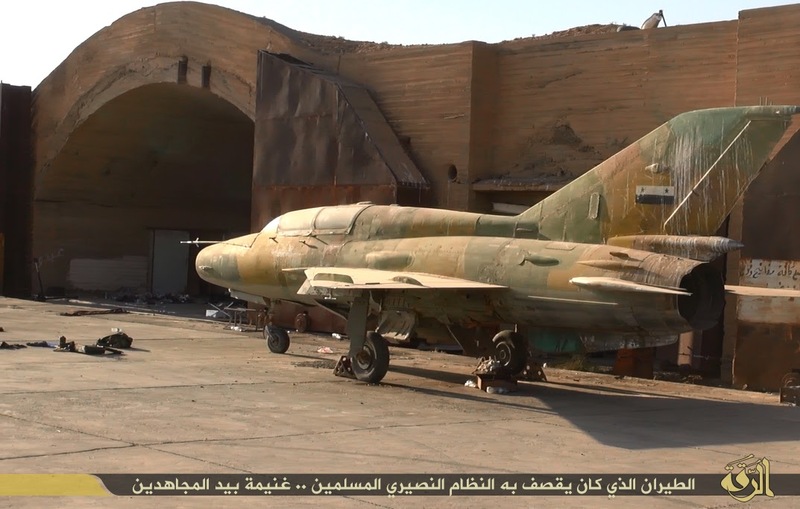 On 25th Aug. 2014, the regime announced a tactical evacuation to this airbase which resulted eventually to be seized by ISIS. 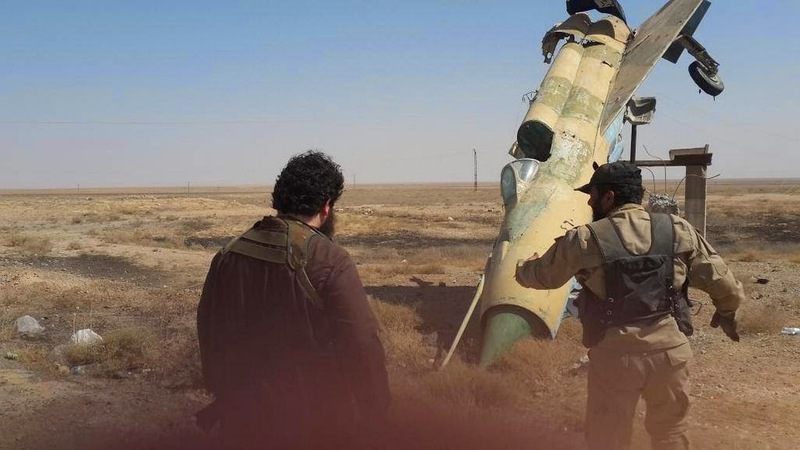 Good amount of photos came out from this air field considering that I did not expect more than few stills to be published by ISIS...Anyway, who among them does care for some scrapped MiGs!?!? Above, a great shot for the 2360 MiG-21UM infront of a double HAS. 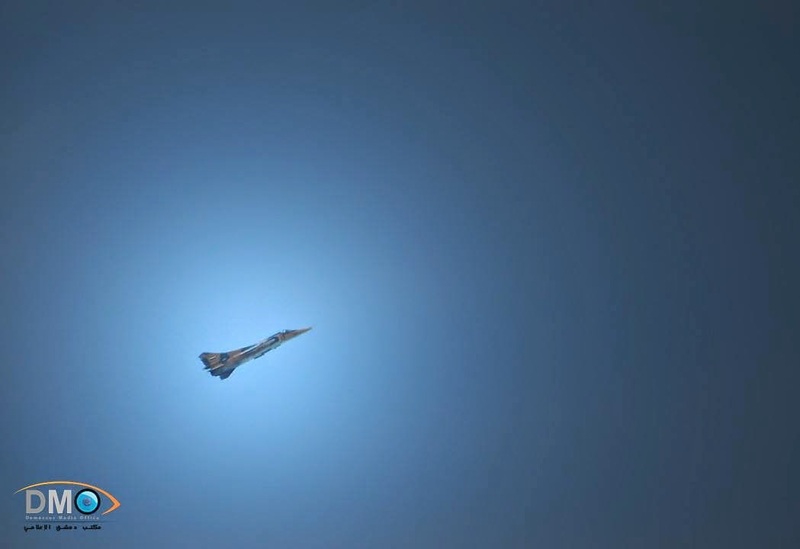 Another still for the same 2360 MiG-21UM. It looks phased-out recently here. Another poor UM inside a HAS. 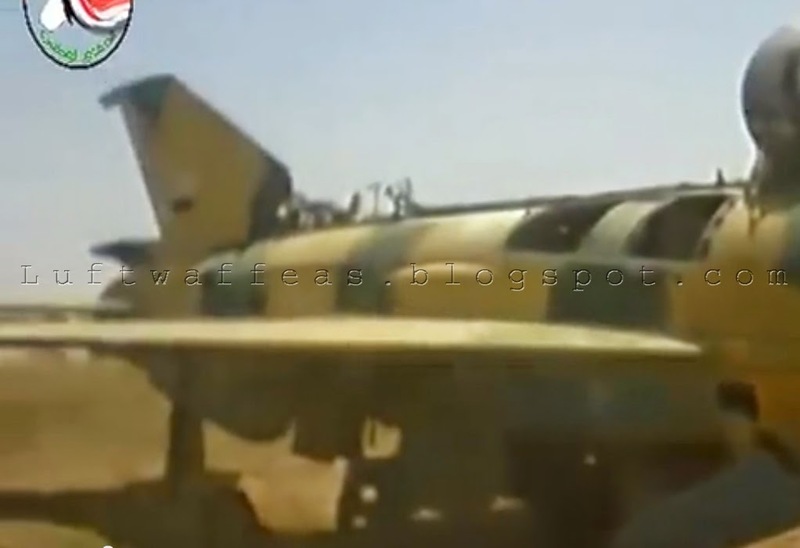 Another phased-out MiG-21UM with serial 2357. Stunning shot for a double HAS to the far west of the base, houses two MiG-21UM's with one MiG-21bis with serial 2217 infront. 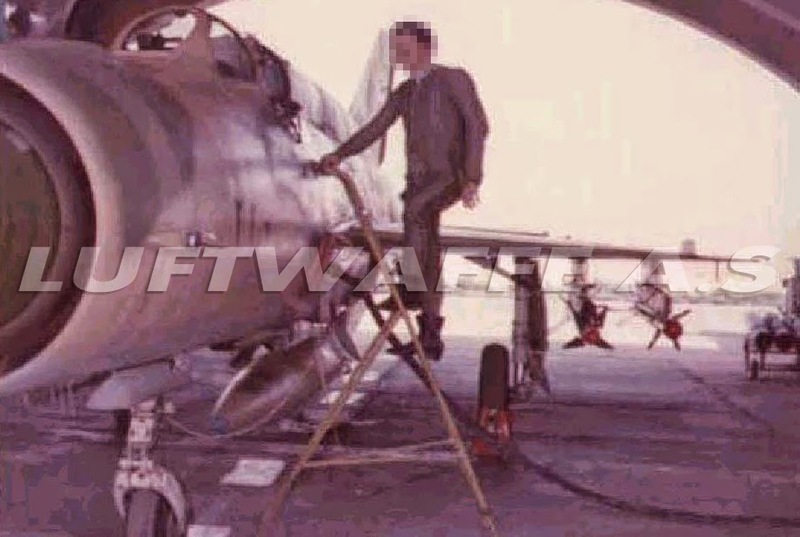 MiG-21MF with serial 1543 is photographed inside a HAS as well. The poor 460 MiG-21MF at the gate. 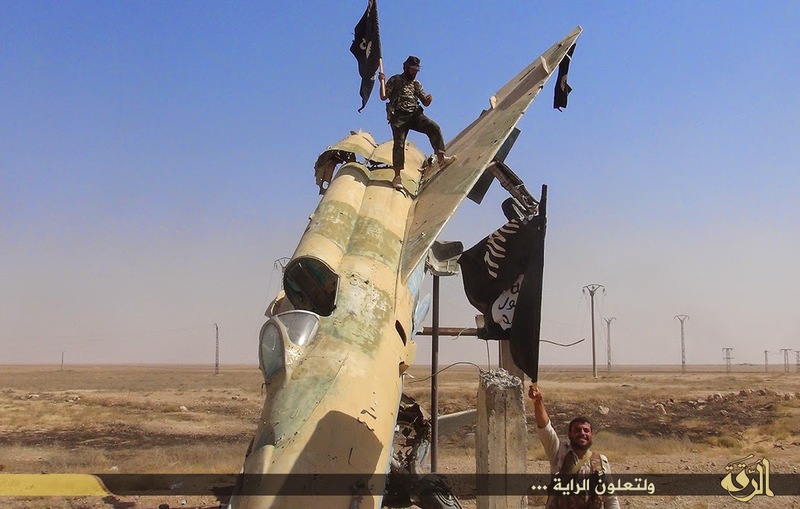 A dozen of AA-2 (R-3S) air-to-air missiles were fallen into ISIS' hands too. 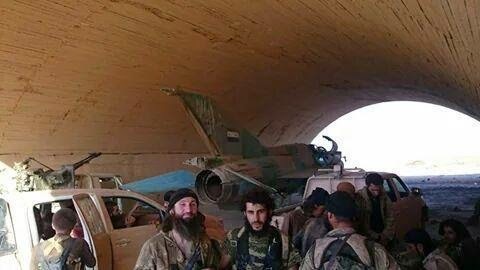 Many activists' FB pages reported that Tabqa AFB has fallen to ISIS, I can't confirm this without photos from the heart of the base. 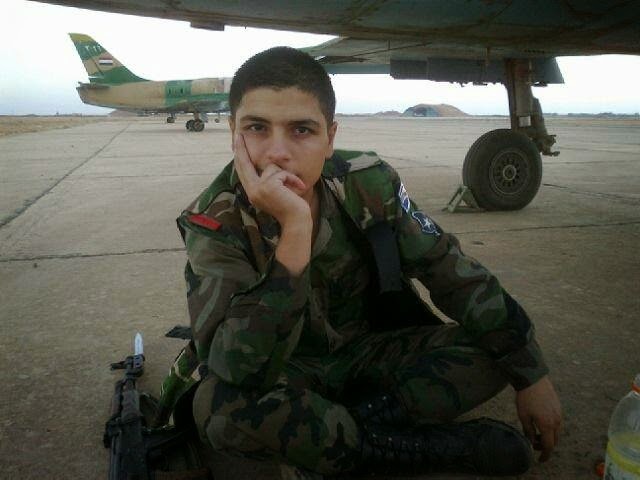 Anyway, I will take this opportunity to post the first batch and could be the last for this base while it is under SyAAF control. 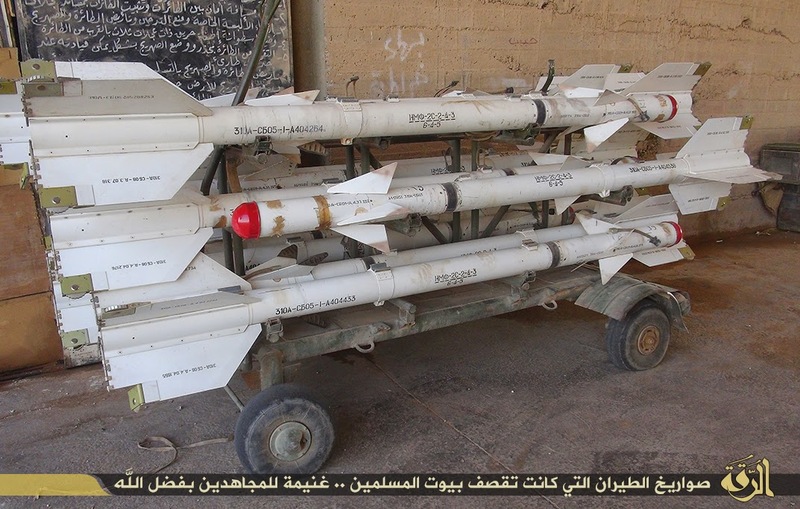 Above, a Gazelle with serial 1343 has been deployed into this airbase armed with four HOT ATGM missiles. 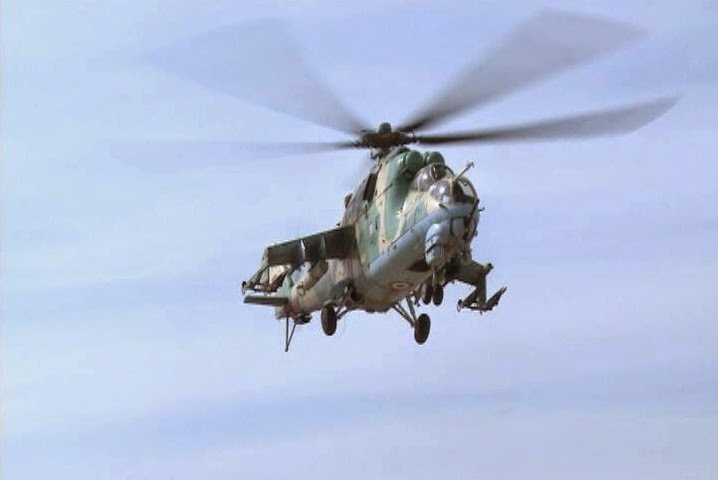 At least, two Mi-25's were also detached to this base as they are much more effective against individuals and vehicles than Jets. 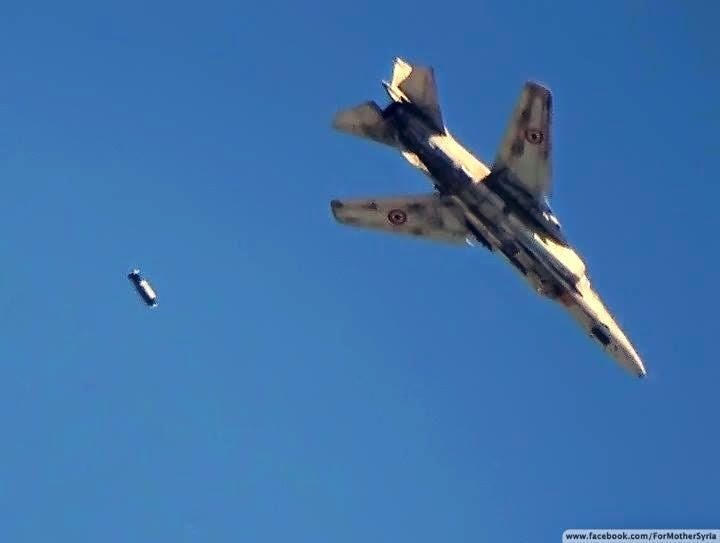 This Hind should be the same videoed yesterday carrying a single FAB bomb fitted to its right wing. 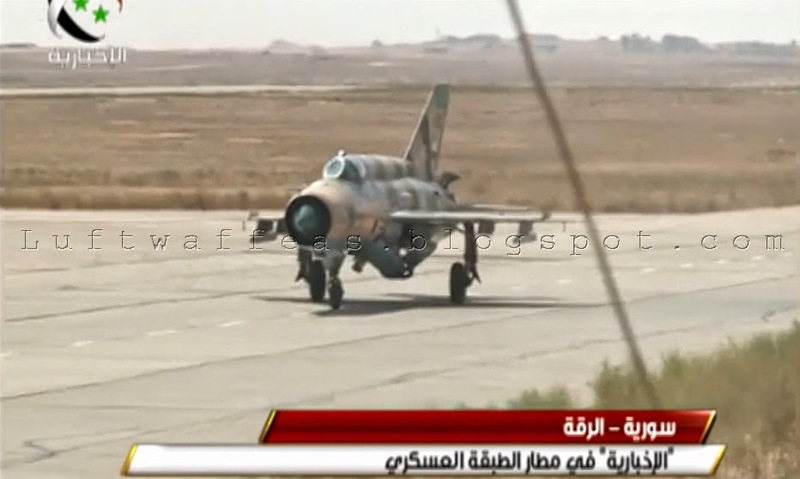 I dare not say this is a MiG-21MF taxiing -considering its more than 40 years of service with SyAAF-, but it really looks an MF with its original camo colors. A MiG-21bis preparing to take off. Another MiG-21bis taxiing after landing. Sadly, the famous MiG-21MF at the entrance of the airbase -with serial 460- is photographed today in this status. 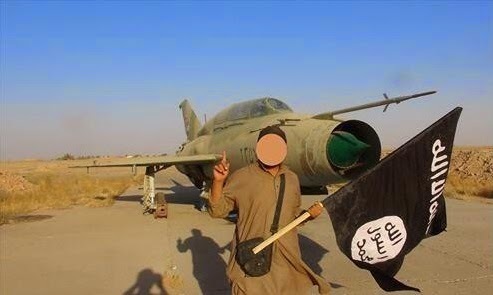 A phased out MiG-21 -should be an MF- at the base. 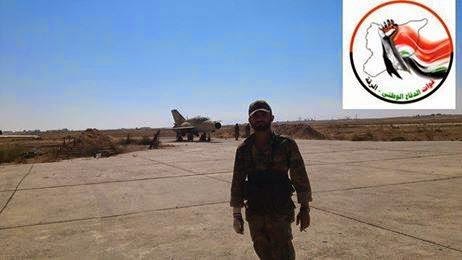 Tabqa airbase is mainly for training for MiG-21's. 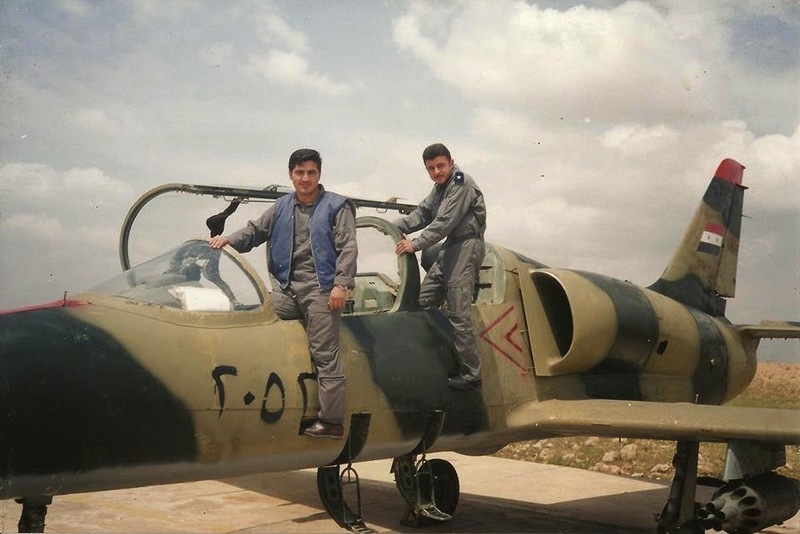 Here above, a MiG-21UM with serial 2360. 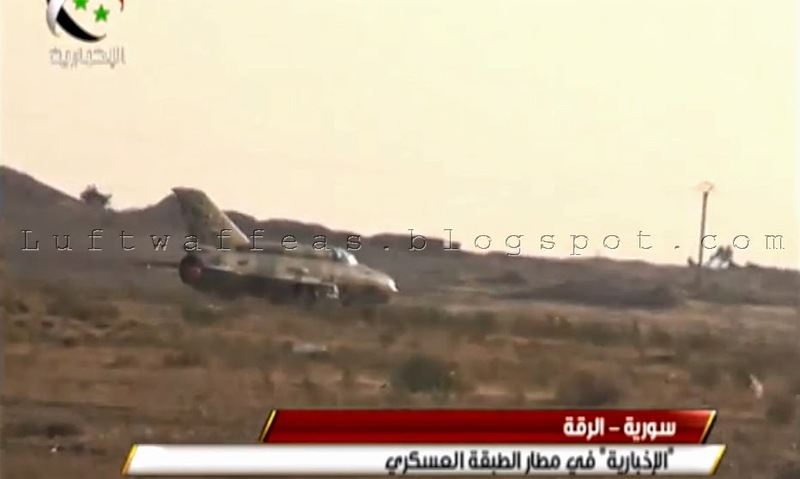 Another MiG-21UM phased-out near the double HAS at the western side of the air field. 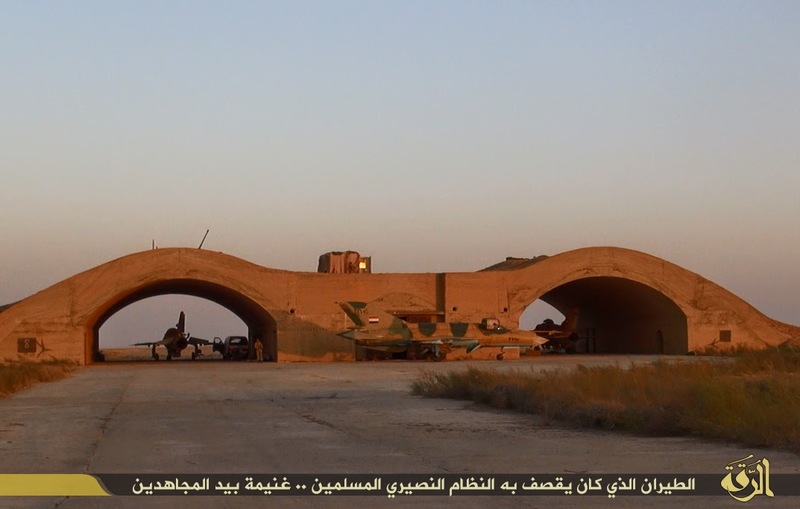 This UM was photographed today by rebels as well, it is phased-out at the road to the airbase. 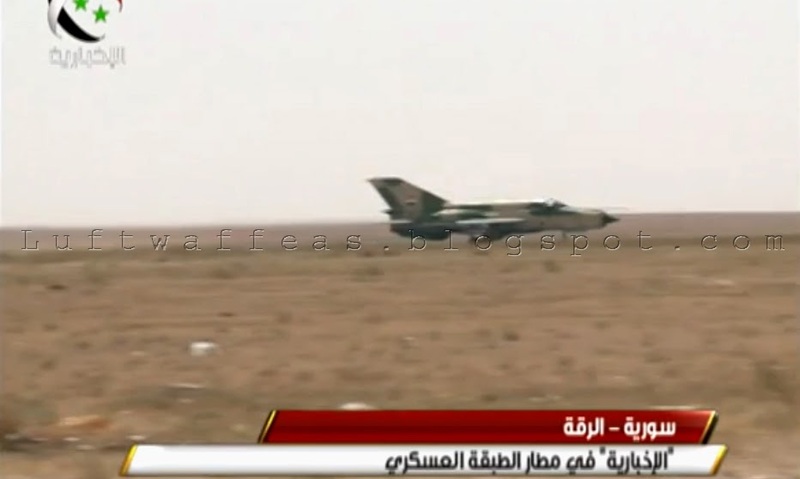 This afternoon, the Syrian official TV channel broadcasted a video report from Tabqa AFB confirming the airbase is till safe despite the continues trials from ISIS/ISIL to overrun it. 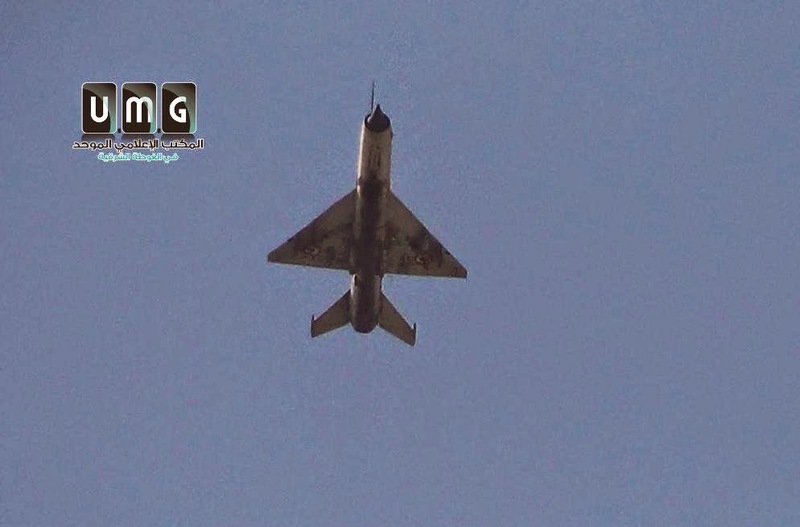 The video contains a tour in the air field where we could see HAS's and few phased-out MiG-21's. 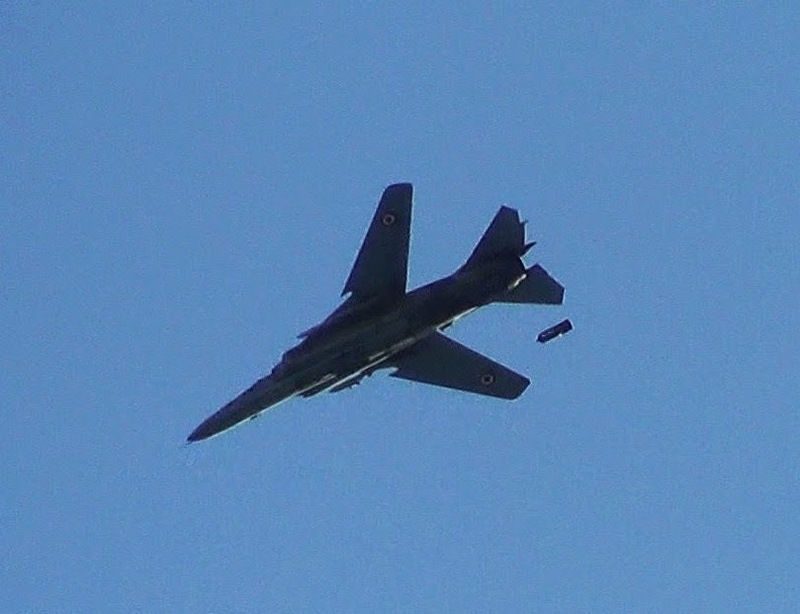 Also, it showed a MiG-21bis taxiing after landing (as the drogue parachute compartment is open aside as can be seen here above). Many FB pages reported the intensive traffic of military transporters 'Ilyushin' from and to the airbase, the An-26 above was among. 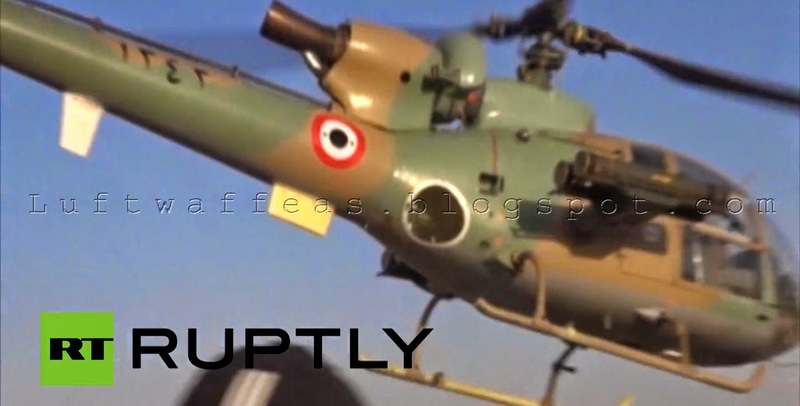 The biggest surprise here is to see a Gazelle deployed in this base!! This one carries the serial 1343. 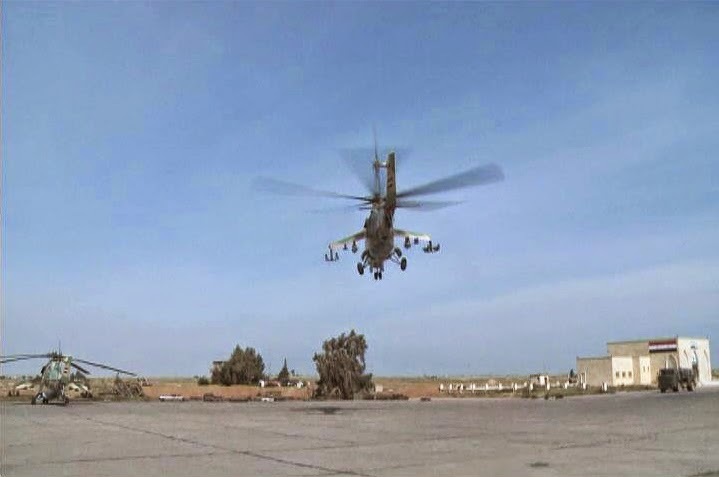 Mi-25 landing with one FAB fitted to its right wing pylon. 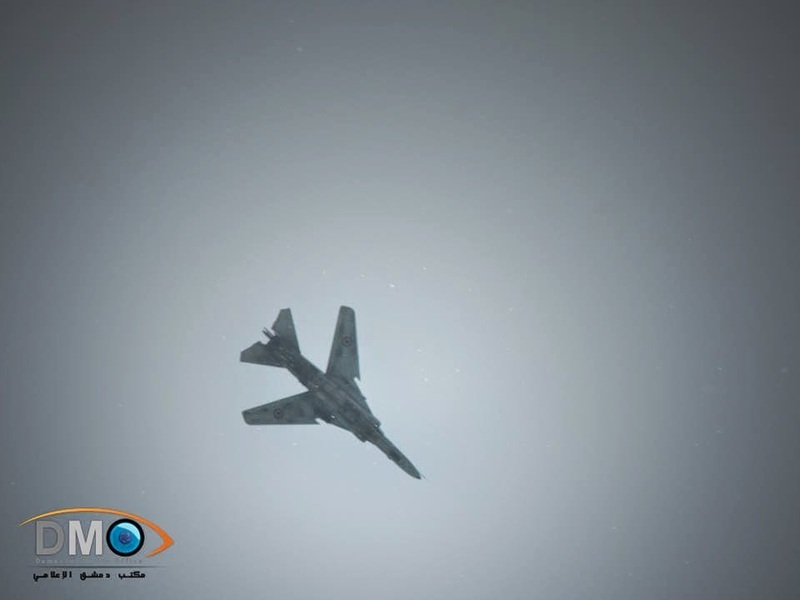 The FIRST VIDEO, In which we can see clearly the serial of the Gazelle 1343, while in the SECOND VIDEO, we can see an Il-76 military transporter at 1:17. 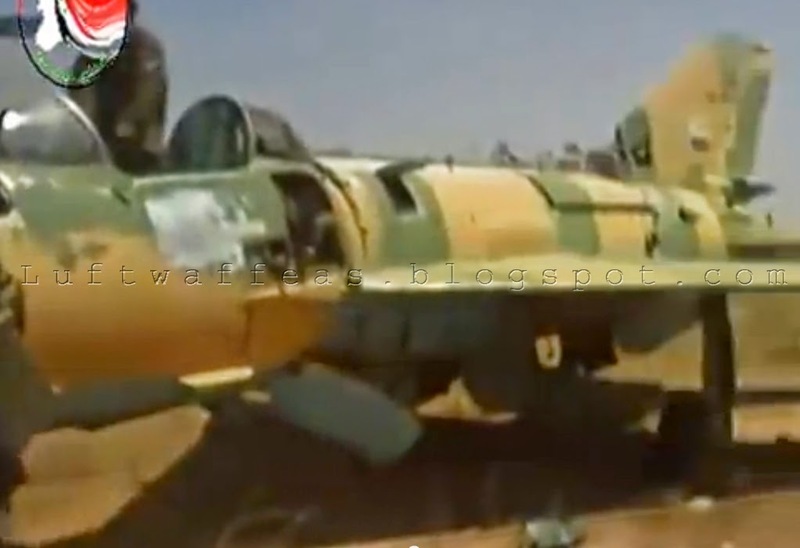 This THIRD VIDEO, gives a better view to the air field and the phased out MiG-21's. First video from inside Tabqa AFB to come to public !! It's true it is leaked, but finally it is our pleasure to welcome more of such kind ;). 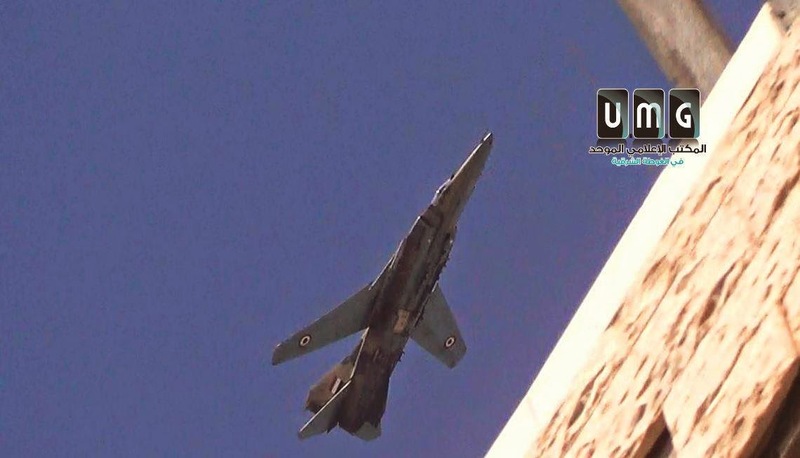 The video represents a phased-out SyAAF MiG-21MF carries the serial 1569 enriching our photo archive for Syrian aircraft units with serials. 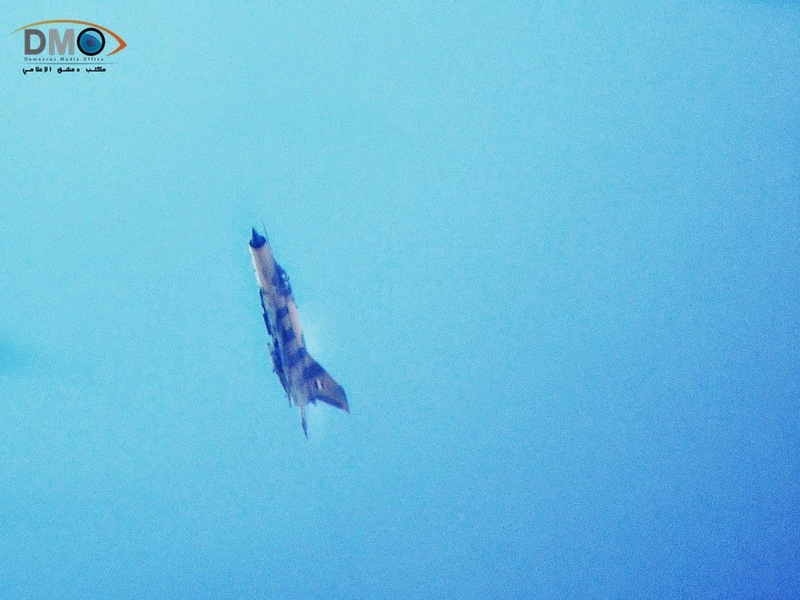 SyAAF MiG-23BN photographed the moment it dropped a FAB bomb over Erbeen on 21st April, 2014. A stunning side shut for a BN spotted over Mleha on 1st May, 2014. 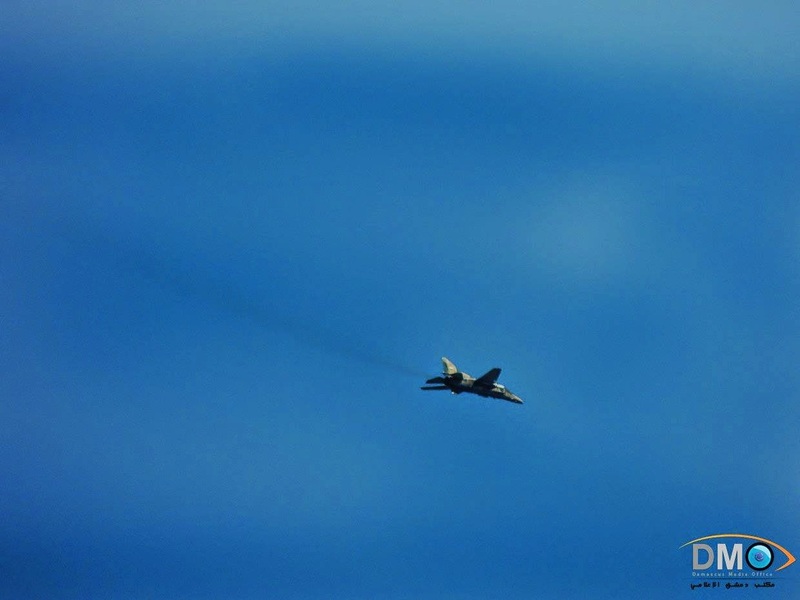 Another BN accelerating and climbing over Mleha after a ground attack sortie on 18th April, 2014. Another BN, the same day. 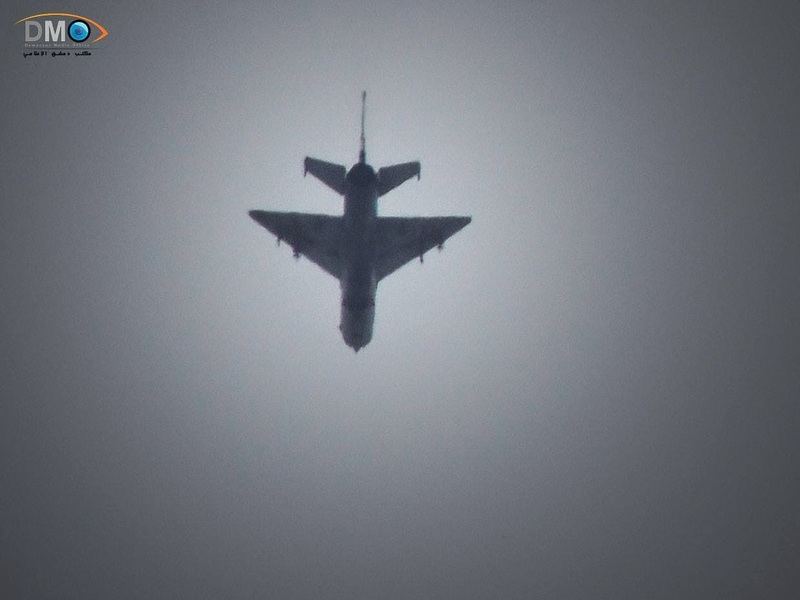 This one was spotted on 24th May, 2014 also over Mleha. 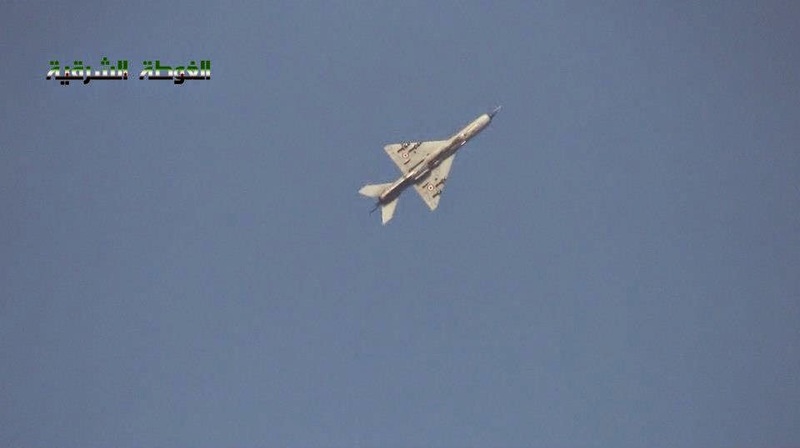 Some photos for SyAAF MiG-23BN's spotted during the Syrian Army offensive against rebels in Damascus Eastern Ghouta towns (namely Mleha) in which this bomber played the main role in ground attack raids, as some days recorded more than 30 sorties for this type of aircraft. 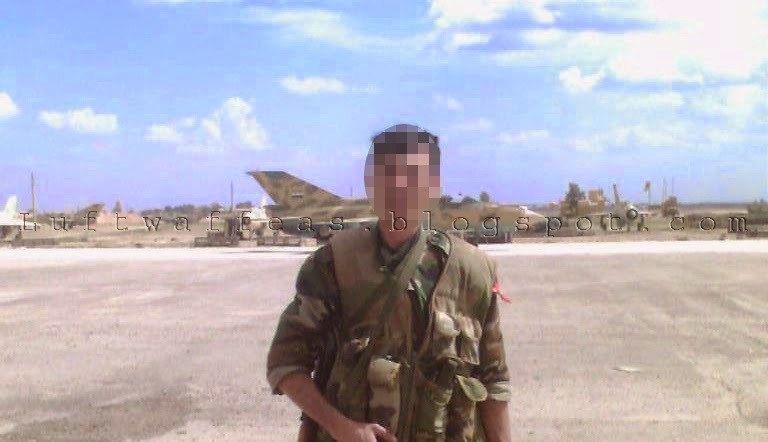 A photo above for a Syrian MiG-23BN spotted on 12th May, 2014 on its way back to base (should be Nasriyeh AFB). Another BN dropping a FAB-250 bomb. 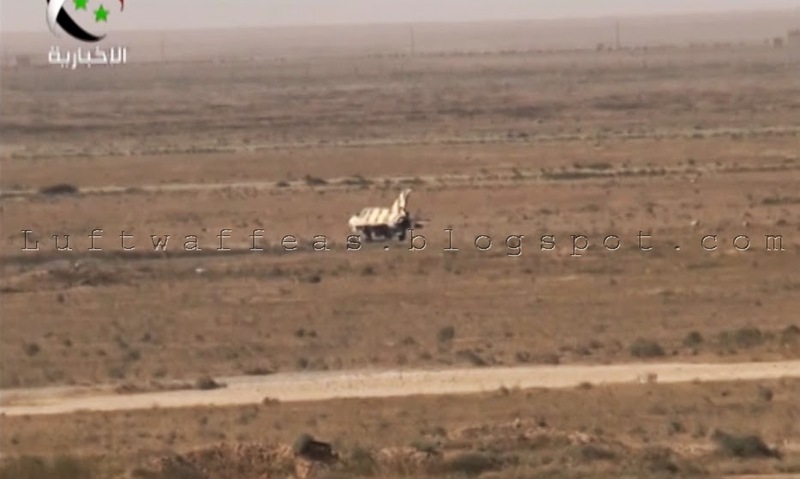 Bottom view for a BN after a raid over Mleha on 6th May, 2014. 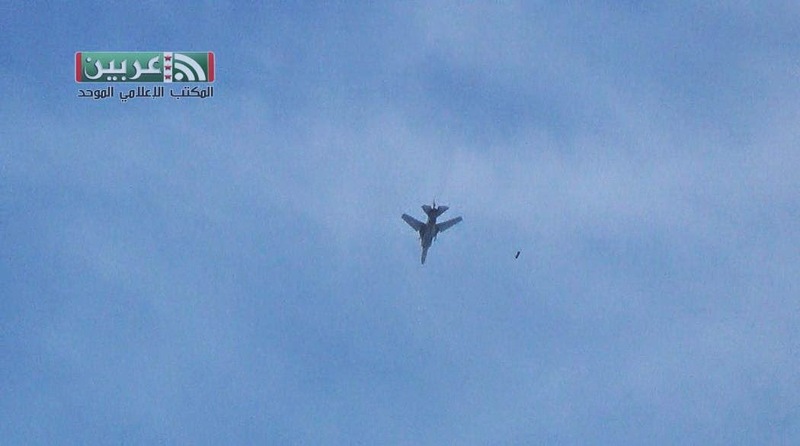 Another MiG-23BN dropping a FAB-250 bomb over Mleha on 8th June, 2014. This raid is dated 19th April, 2014. 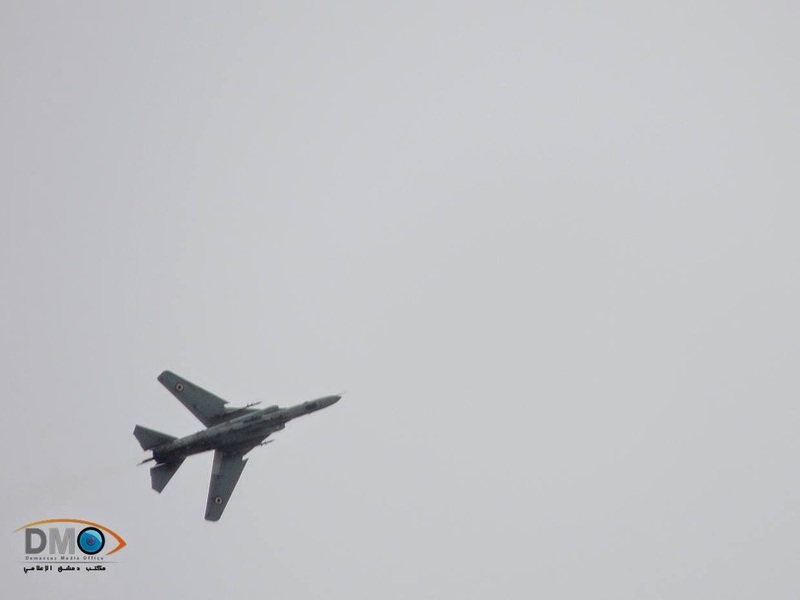 A very low pass performed by a Syrian MiG-23BN over Mleha town on 27th May, 2014. 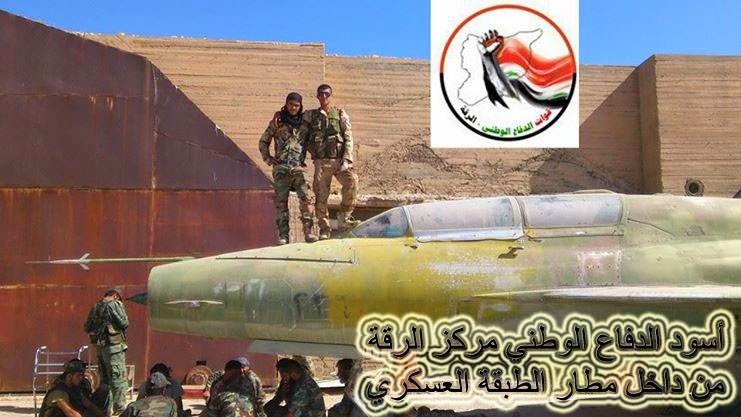 The most beautiful still for SyAAF units ever! 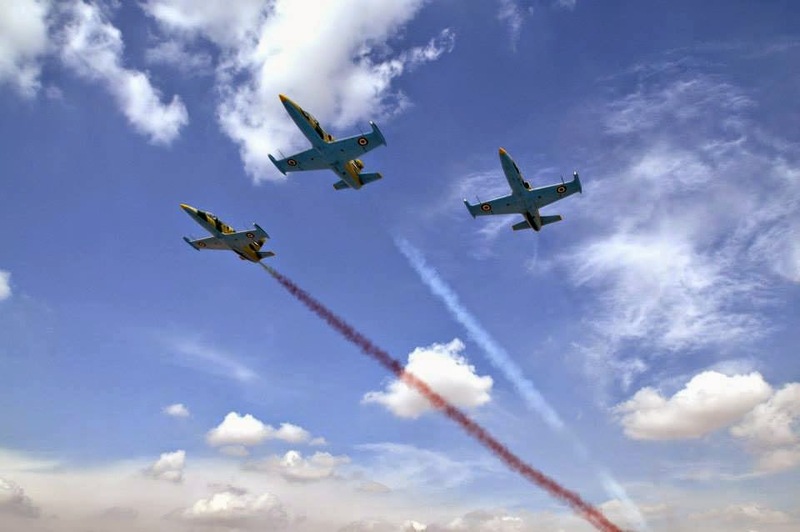 The aerobatic team represented by L-39's passing over Rasm Al Abboud (Kweres) AFB sometime in early 2000's. 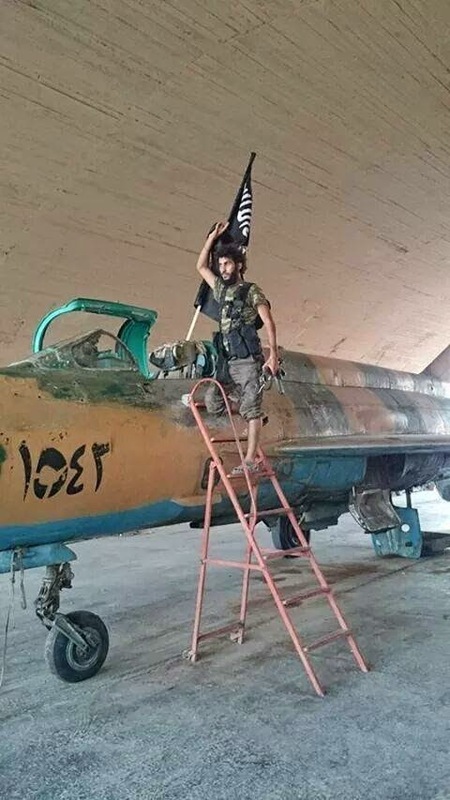 It's abnormal to see a Syrian Albatros had its fin tip tinted in Red. This armed L-39ZO carries the number 2052. 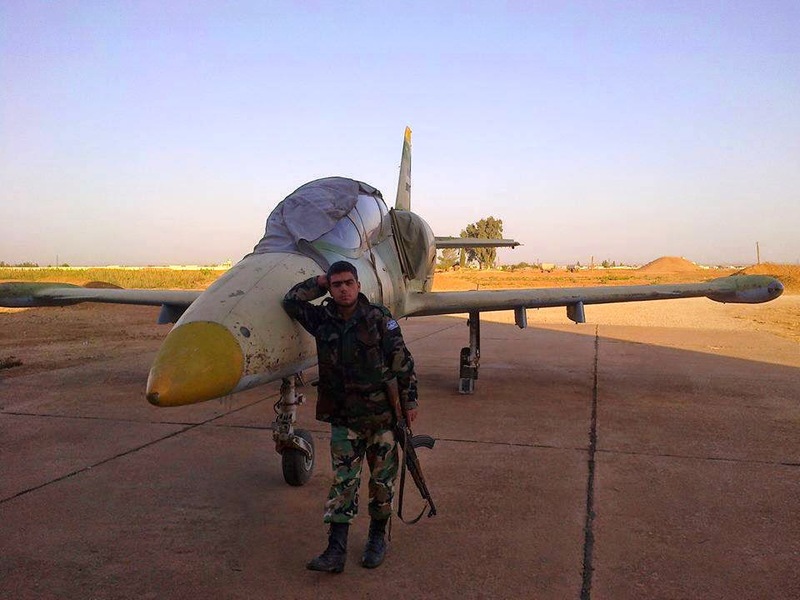 A 2007 dated 'Selfie' taken in Kshesh (Jarrah) AFB shows an L-39ZO with serial 2060. A still in Kweres airbase shows row of L-39ZO's on the secondary western tarmac, one of which carries the serial 2096. 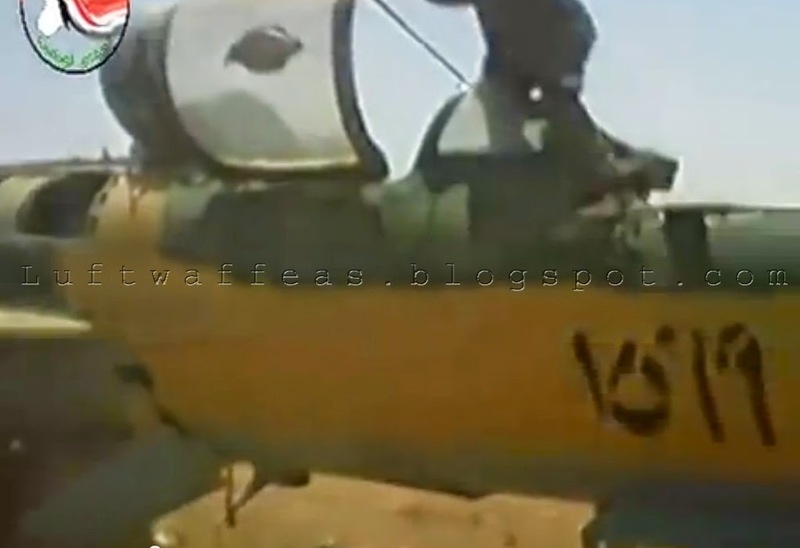 Again in Kweres airbase, a still shows an L-39ZA carries the serial 2127 and fitted with FAB-100 bombs. This looks as well in Kweres AFB. 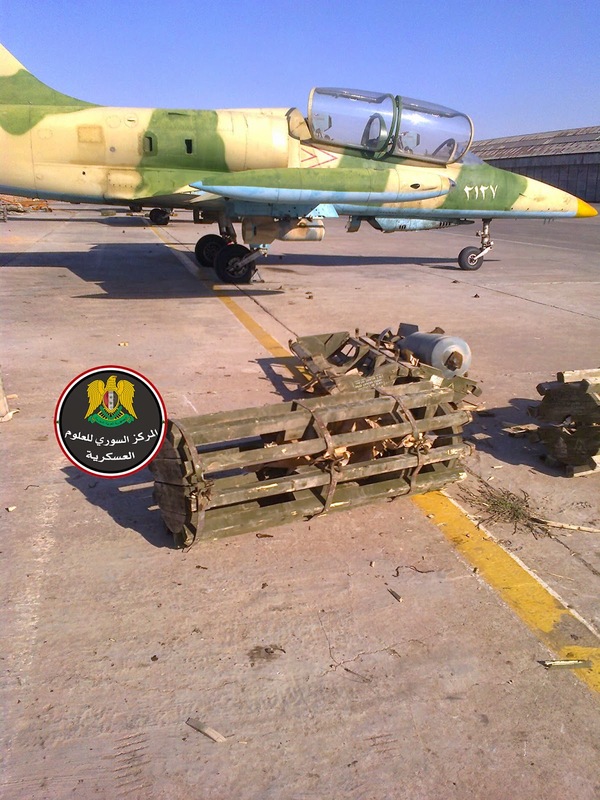 Row of L-39's in Neyrab airbase on tarmac infront of the overhaul facility, these Albatroses carried out extensive sorties over Aleppo area last year. Note the fin of the MiG-23MLD to the far left of the photo. 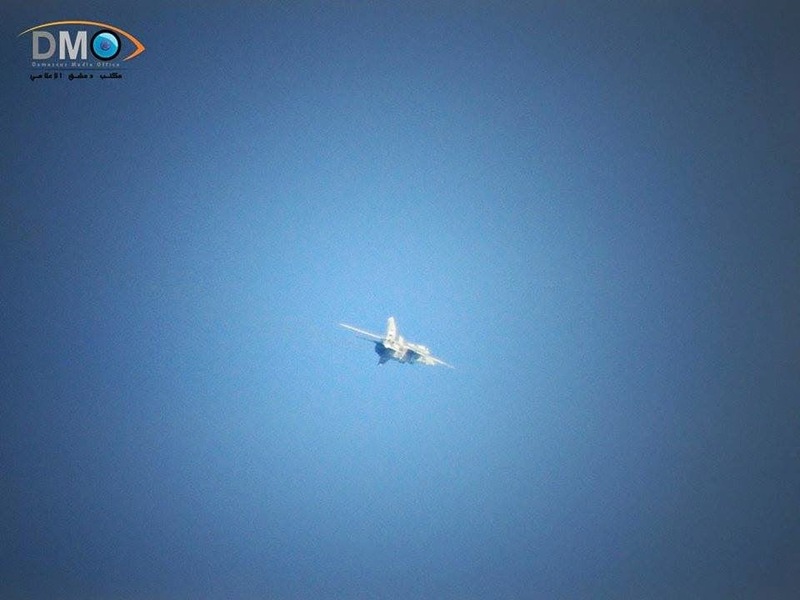 Unique and for the first time a stunning photo for a SyAAF MiG-21bis carries a serial starts with 22xx ready to scramble inside a HAS fitted with four AA-2 air-to-air missiles (variant is not clear whether R or M). 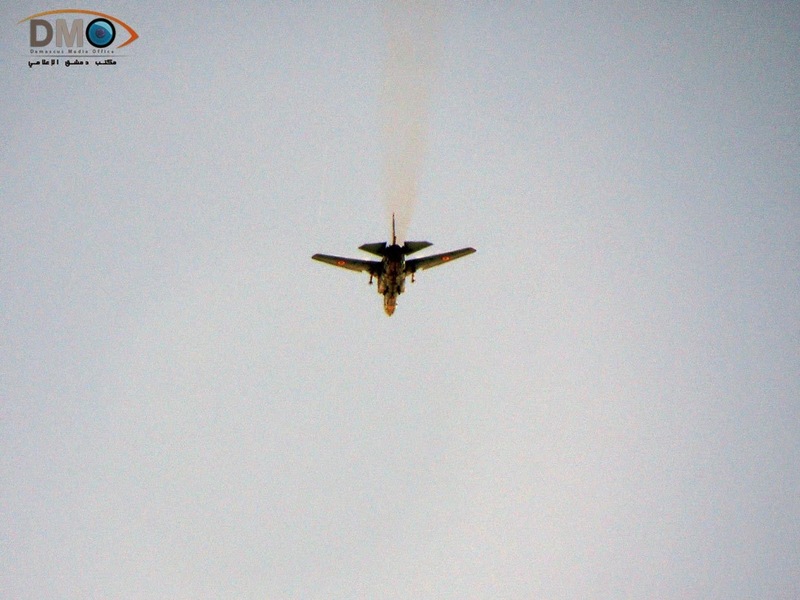 A SyAAF MiG-21bis spotted maneuvering over Erbeen town in the Eastern Ghouta of Damascus on 20th Nov. 2012. 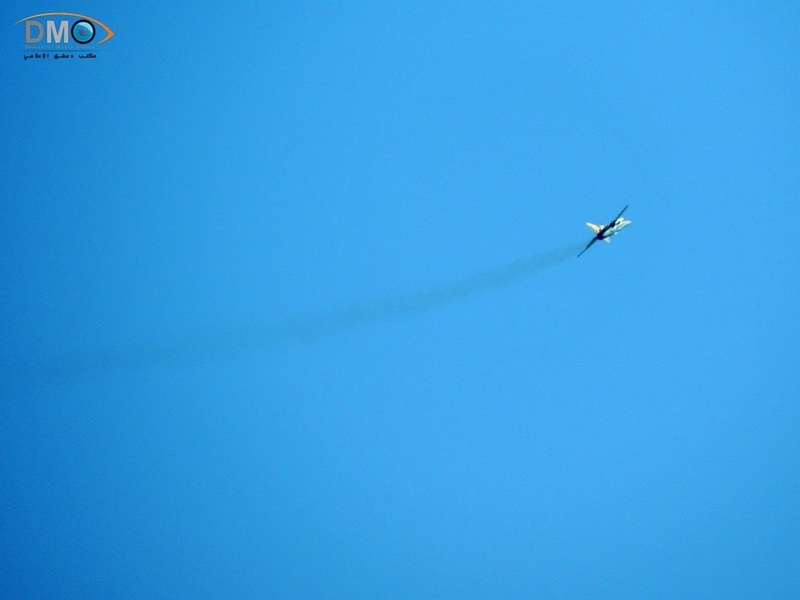 Another bis spotted flying over Mleha town on 26th May 2014 during the Syrian Army offensive at that area. The next day as well, 27th another bis was spotted. 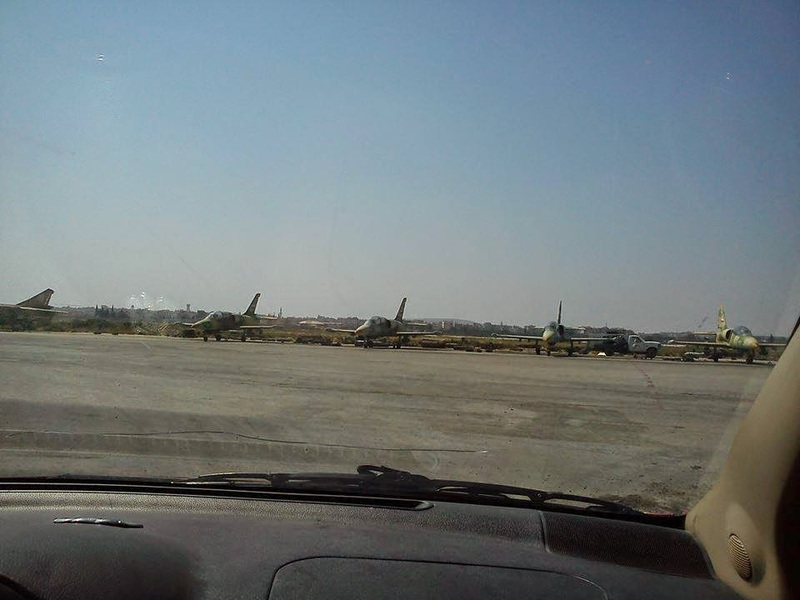 Group of various variants of MiG-21's phased out in Deir EzZour AFB. The one on Tarmac looks the only operational one. 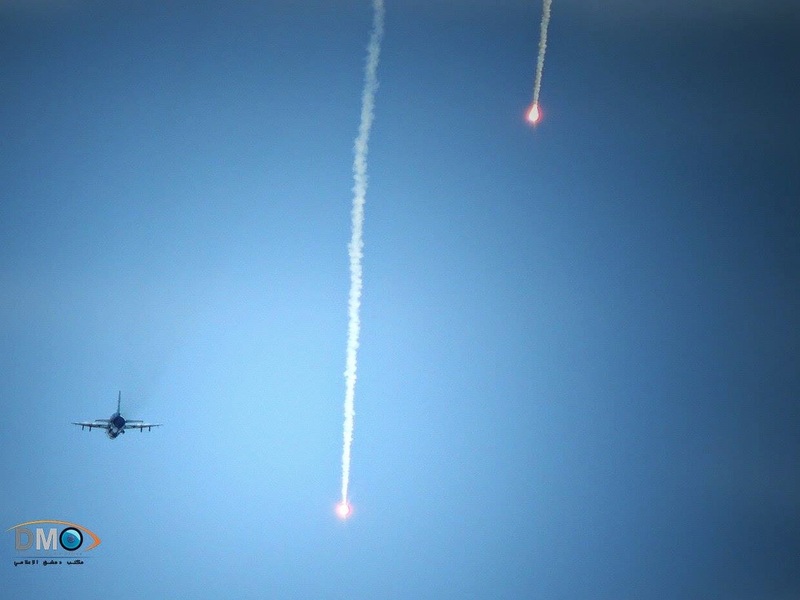 Amazing shot for a Syrian MiG-21bis dispensing flares over Eastern Ghouta towns on 12th May 2014. Another shot for the same here, as it looks fitted with S-24 air-to-surface missiles. 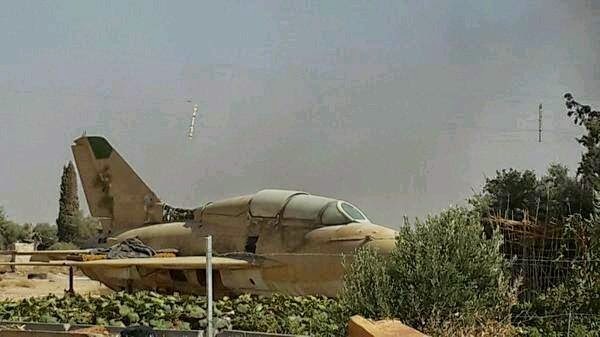 I'll end this post here with a wonderful still of a SyAAF MiG-21bis seconds after it left the runway of Dmair AFB fitted with four FAB-100 bombs. The serial looks like 2241.